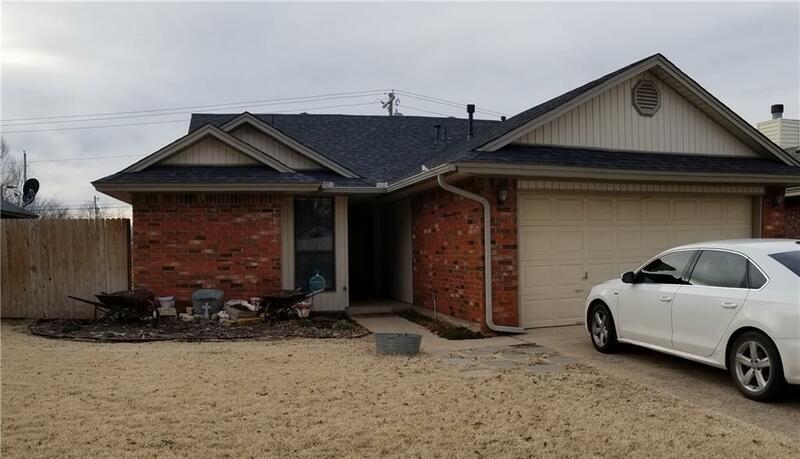 1181 N Blue Ridge Drive, Purcell, OK.| MLS# 852045 | Oklahoma City Real Estate | Apple Realty, Inc.
Come and see this adorable and well maintained starter home! It won't last long. Many upgrades completed in 2018 with new laminate floor, ceramic tile, 40 gallon hot water heater and brand new roof! The 4X6 Storm Safe above ground storm shelter is in garage. No need to worry over power outages with the KW GENERAC 13/14 generator installed in 2013. The Country Leisure 54" tall, 21' diameter round above ground pool was newly installed in 2016 and is perfect for those hot summer days while your Rain Bird sprinkler system waters your yard for you when your finished mowing.